In The Anti-Witch, Jeanne Favret-Saada revisits fieldwork she first described in her classic Deadly Words: Witchcraft in the Bocage in a more reflective mode and conceptually ambitious mode. Made available as an open-access monograph by HAU Books, this translation introduces English-language readers to Favret-Saada’s encounters with the “dewitcher” Madame Flora and outlines the foundations for an anthropology of therapy. We hope you enjoy these commentaries on The Anti-Witch. Raikhel E. Book Forum–Jeanne Favret-Saada’s The Anti-Witch. Somatosphere. 2016. Available at: http://somatosphere.net/2016/book-forum-jeanne-favret-saadas-the-anti-witch.html/. Accessed April 21, 2019. Raikhel, Eugene. 2016. 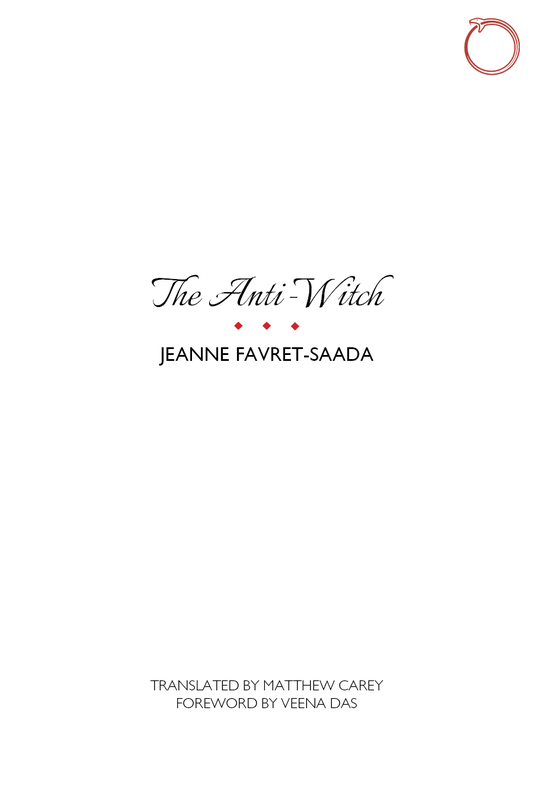 Book Forum–Jeanne Favret-Saada’s The Anti-Witch. Somatosphere. http://somatosphere.net/2016/book-forum-jeanne-favret-saadas-the-anti-witch.html/ (accessed April 21, 2019).